In what can only be described as bizarre, Google appear to be about to offer SEO services to businesses. Three years ago almost to the day, Google bought double click, and it was reported then that they had by default become an SEO company. Google rapidly sold off the arm, and claimed once again to be whiter than white. 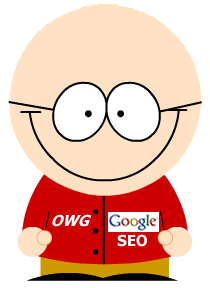 Now though it appears that by May, Google will be offering SEO services? HOW? The FIA ruled that search results must be clearly marked as paid, if money has changed hands to place a site there. This is why the paid status is clearly defined, as consumers have a right to know what is an advert and what has editorial integrity! By offering this service, Google have crossed over, they are going to ‘help’ a site get better rankings in an algorithm that only THEY know with absolute confidence. so in fact. we have come full circle and have gone back to where yahoo and Alta-Vista were all those years ago with PFP (Pay For Position) . What next I wonder? Will Google come up with a fantastic ‘new’ ideal called PFI Pay For Inclusion. Seems to me that Google are on the slippery slope, and are sliding ever further into the ‘do not trust’ pond! Don’t do evil? Maybe we should send them postcards with this on to remind them of their motto. That’s madness… Just another reason making me feel like switching to Bing!